Kubey - 1 Blade Linerlock. 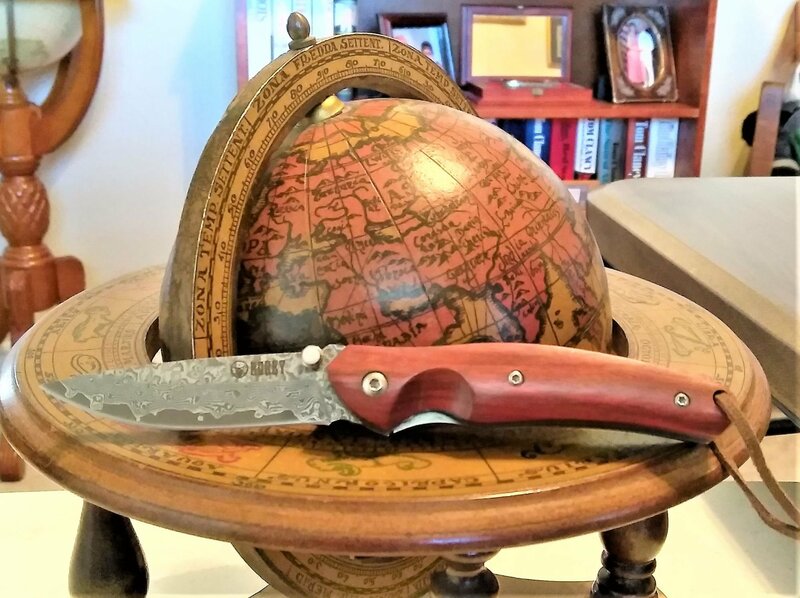 Vg 10 hand-forged Damascus steel blade w/thumb stud. Rosewood handle and scrolled spine.